So, I bought the filler stuff. Now what?! Filler is all the stuff that adds fluff and texture to your accessories. You see it. You want it. You buy it. Once you buy the stuff and get it home with you, how do you use it? Shown above are leaves plucked off a pick from the Dollar Tree (like this one), real mini pumpkins from the grocery store, and two bags of fake gourdes, pumpkins, apples, and nuts from Target ($2.50 a bag at the Dollar Spot). 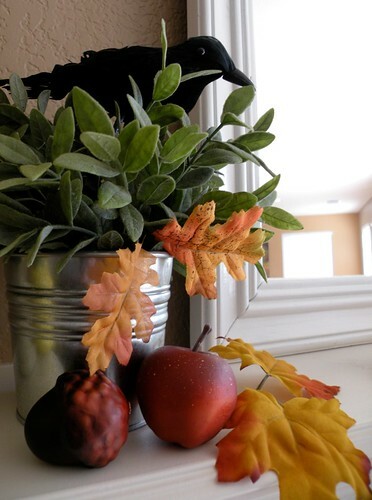 I’m going to show you a few quick easy ways to accessorize your house and create a warm Fall feel. And then topped it with 3 mini pumpkins. Super quick and easy Fall display. You can pretty much make anything look better by adding a few fake leaves. 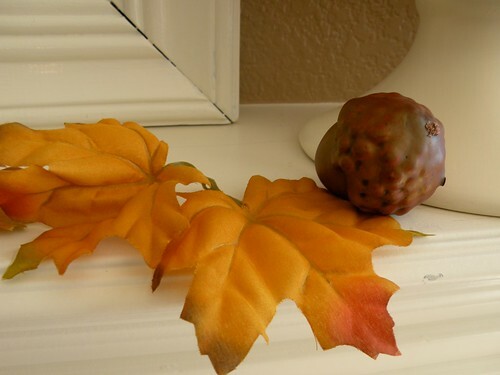 Here’s another way to add some leaves for a more Fall look. 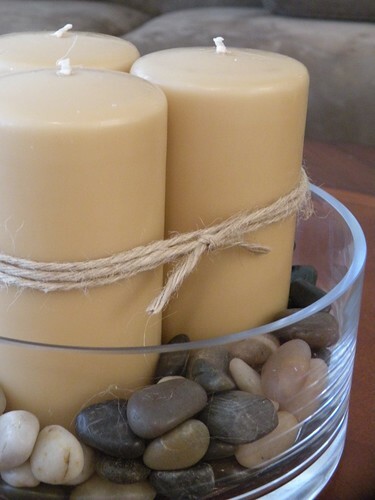 Do you remember by homemade Zen Garden? And now it instantly looks more festive. 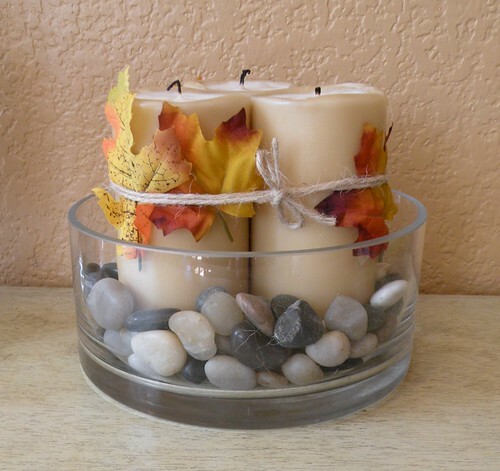 I could even take it a step further and change out the rocks for some little acorns or cranberries if I had any laying around my house. (I don’t). Next, let’s update the Cloche, shall we? 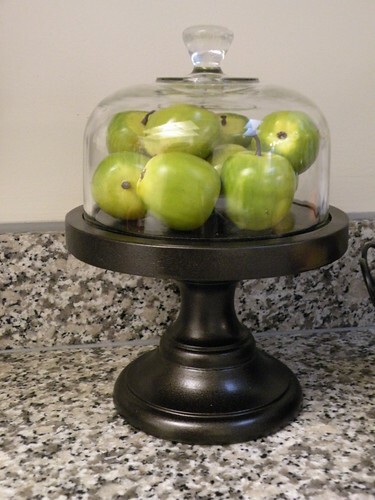 I adore my little black cloche with the green apples in it, but it needs a fall makeover. 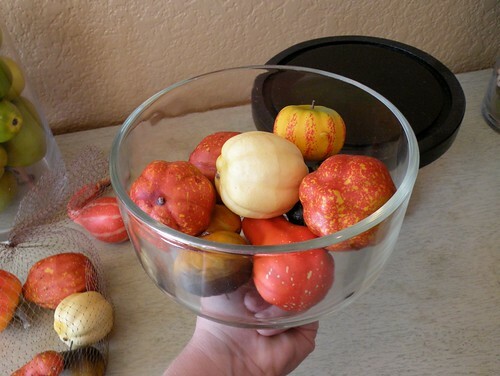 I grabbed one of the bags of fake pumpkins and stuff from Target and added a handful to the dome. Then I added a couple leaves. 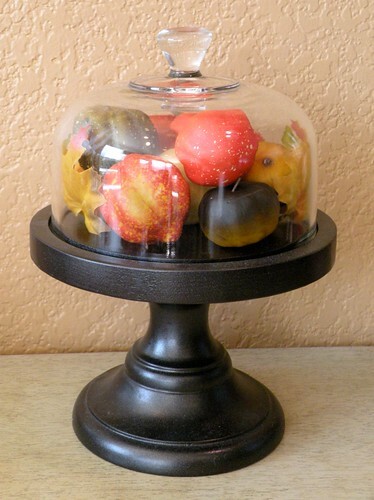 Now, I’ve never shared this with you guys before, but I made a 2nd cloche – same way I made the first one – except I painted this one Heirloom white. 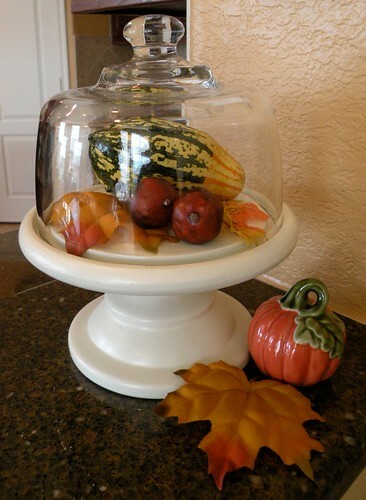 All I did to fill this one was added two fake leaves, plopped a gourde on top, and added two fake acorns. 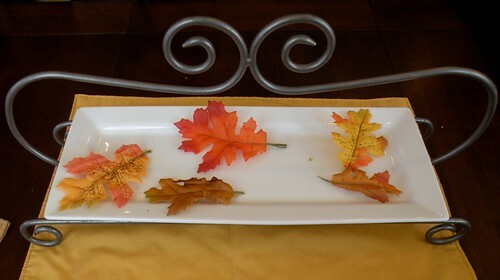 Then I threw down an extra leaf next to it and added a pumpkin salt shaker that I just bought at Wal-Mart. Have I convinced you yet that filler doesn’t need to be intimidating? Next is the mantle. I just shared with you my mantle a few days ago (pre-filler). 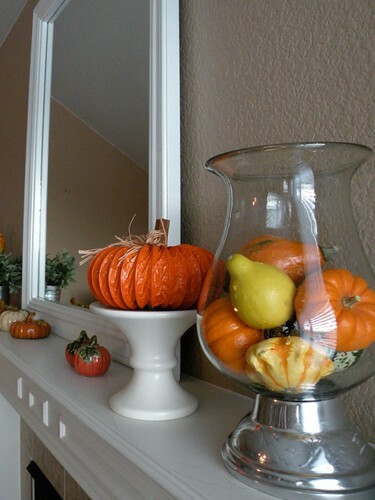 And I took some advice given to me in my last mantle post and moved the mini pumpkins off the mantle and centered the 3 dollar store ceramic pumpkins. I hope I’ve given you some good ideas and encouragement. 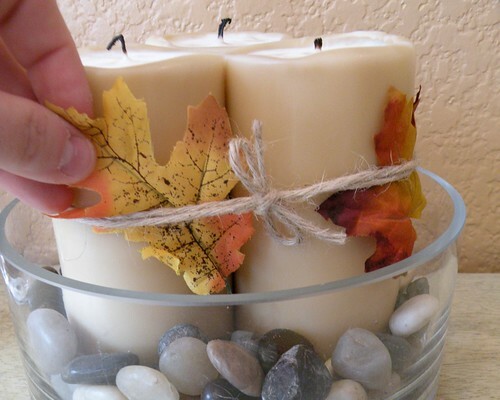 Hit the dollar store and at the very least, just buy a couple picks of fall leaves, pluck them off the stems, and set them around your mantle. It really does make a world of difference! Your house looks absolutely beautiful! 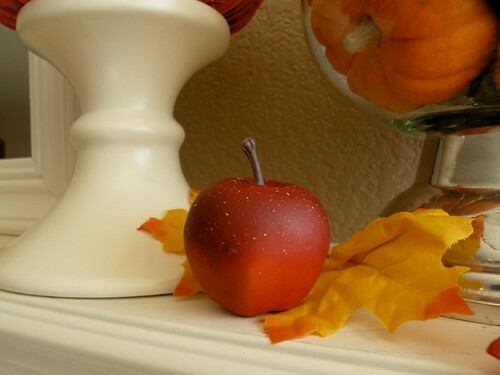 Great job with using all of the cute Fall accessories you purchased or already had. Looks so nice. Nicely done! Should I e-mail my address so we can go thrifting and you can do my fluff? 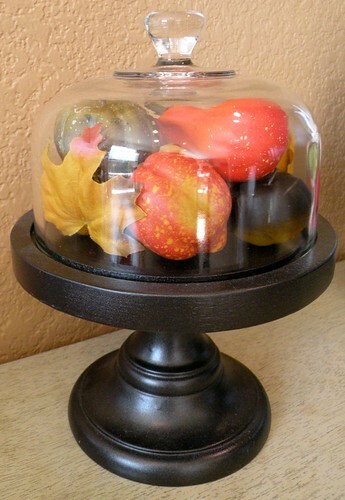 Love the idea with the cheese-domes-turned-cloches. 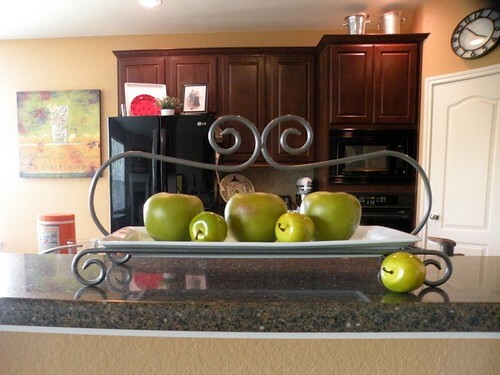 I did the same thing (attaching cheese domes to candle sticks), but I still have lemons residing in them! Great idea!! Sometimes I just switch out my candle colors for different holidays/ seasons to add a little color. Ha! Thank you for making me feel normal!! I also made 2 cloche – an ORB and a white. Hubby just rolled his eyes. I switch them out seasonally and have the black one out now. PS: OMG this was a good yardsale weekend! Did you go? Ahhhhh, I can smell the warm cider and spice wafers; Very inviting. great tips! I have a difficult time making decor decisions. This helps a lot! You did good as always. 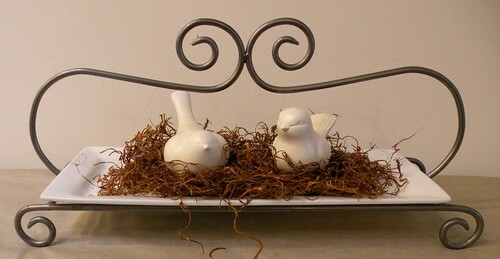 Your decorations are so pretty and the fact that they are so thrifty makes them very special. Thanks for sharing your talent and decor. So cute! My little J especially loves the crow. 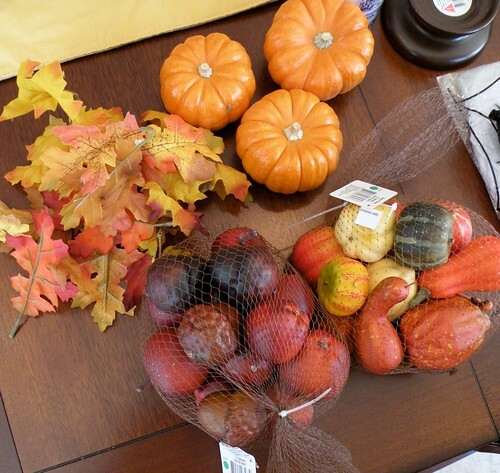 Thanks for the Target tip…a bag of fake acorns are $14 (!!!!) @ Pottery Barn! 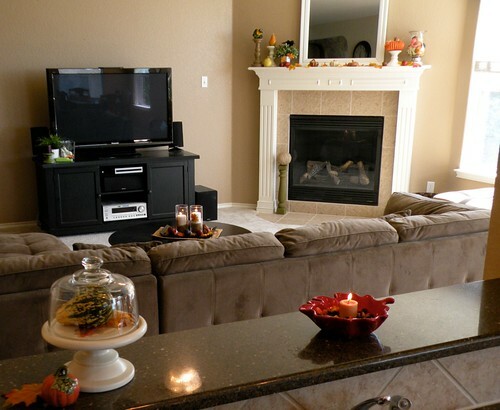 I love all of the fall accents! It looks fantastic! Nice work! 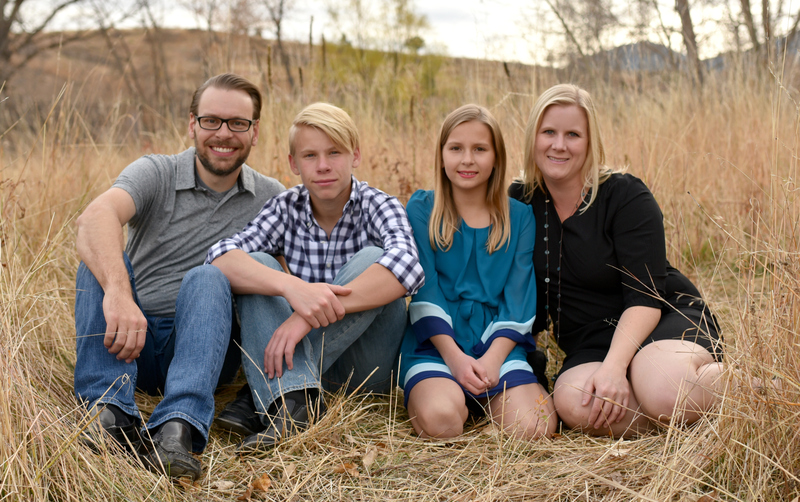 All of your fall touches make such a difference. 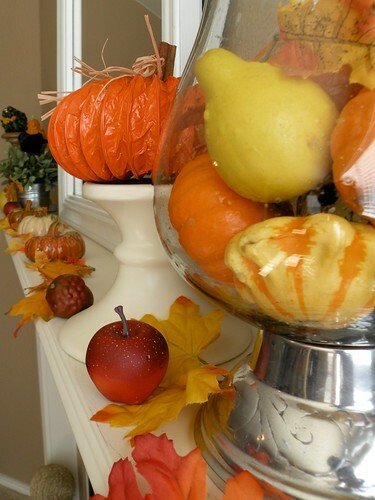 Love the orange duct pumpkin on the mantel! 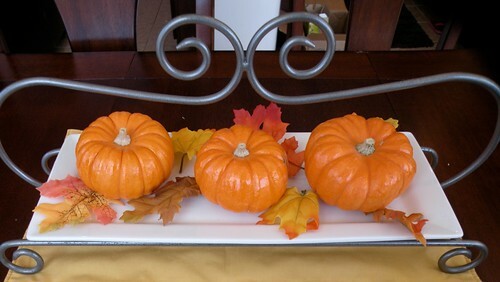 It looks like Autumn at you house Alison, really wonderful ideas!! 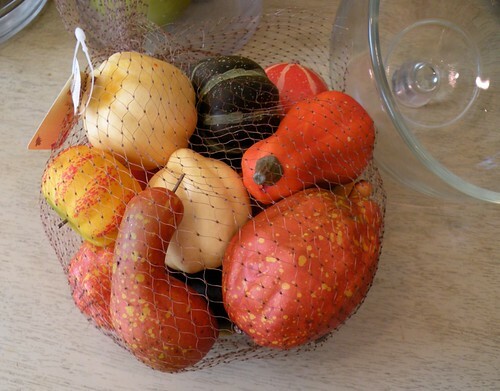 I love the way you filled your cloches! 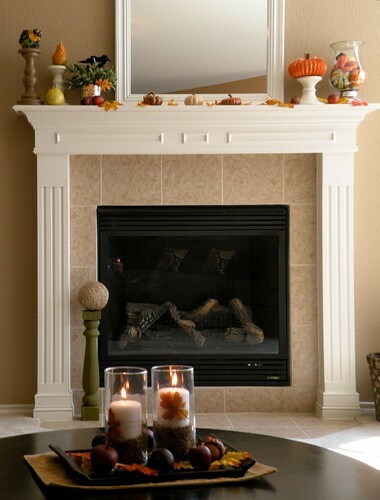 ~Kelly @ Corner of Main…I hope you can stop by and check out my mantel!